Dark red color with ruby reflections . Very fruity on the nose , with gentle oak finish. The taste is very well built, with a strong structure. Brick red, leather and spice on the nose. Smooth and subtle on the palate, with strawberries and vanilla ice cream and well integrated long lasting tannins. 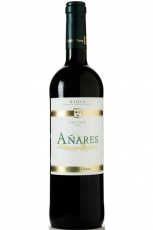 Classic Rioja, smooth and mellow withwith ripe red fruit flavours, complex gamey aromas, and long vanilla finish. A long mouthful with good structure. 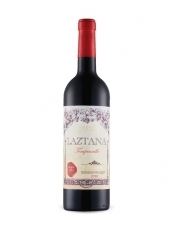 A reminder of the fruit returning in the aftertaste Aromatic complexity, red berries, liquorice and hints of smokiness. Tempranillo is the primary grape in this complex Reserva from the heart of Rioja (Garnacha 5%, Mazuelo and Graciano 15%). Round & well-balanced with smoke, leather and red berry notes after 20 months in French oak and a long period in the bottle.